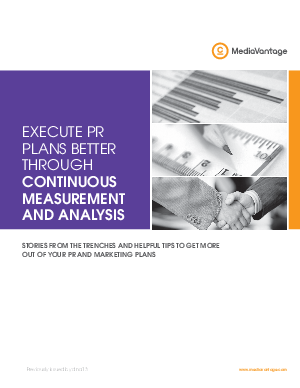 As a PR professional, you know the value of strategic planning and you know your success is judged by how well you connect with your stakeholders. You use multiple channels to reach your audiences because you have to be wherever people are engaging in conversation about your brand. While it's tougher to predict where reputational threats may come from in a multi-channel universe, you can use tools in real-time to enable continuous monitoring and measurement. This will give you the intelligence to analyze why and when to adjust your strategic communication plans.